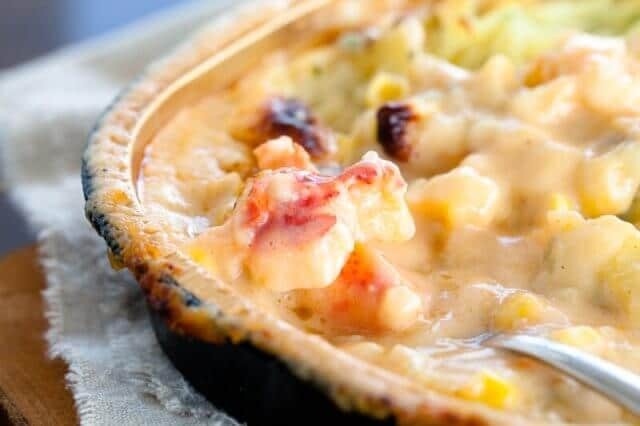 At first glance, the Hancock Gourmet Lobster Mariner’s Pie doesn’t look very much different than any other casserole or potato dish. 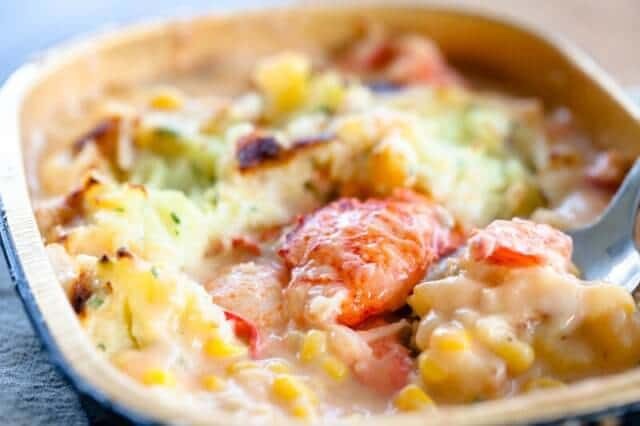 Perhaps the creamy, light salmon-tinged edges might give hint to a possible seafood delicacy underneath the subtle peaks of potatoes. 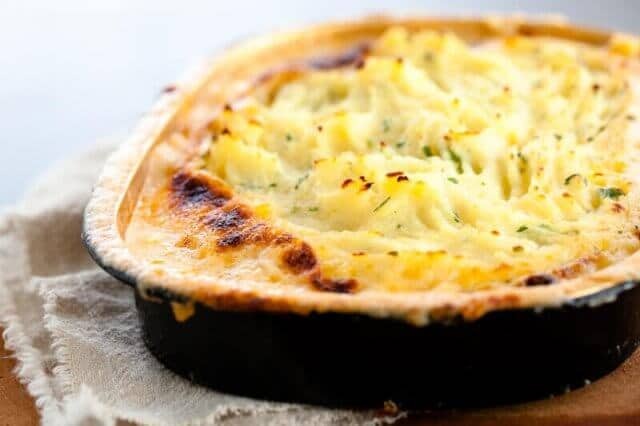 It’s not easy to transform a dish with humble tradition like Shephard’s Pie, into a luxurious, good-bottle-of-wine, light the candles, type of dinner. 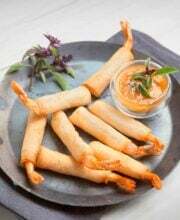 But Hancock manages to capture both comforting and decadent, bite after bite. There’s non-stop lobster. Really. 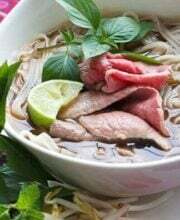 Bite after bite. 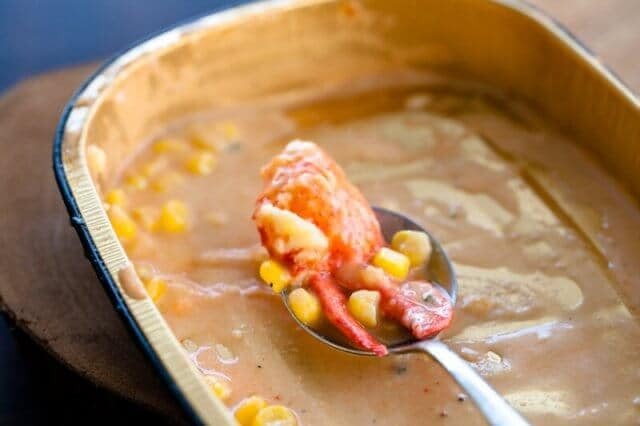 Just when you think that another hunk of lobster couldn’t hide in this dish, you find more. 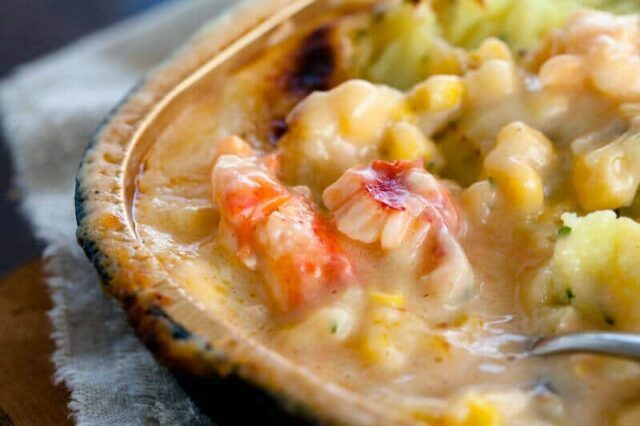 Hancock Gourmet Lobsters Mariner’s Pie is a coastal twist to a classic favorite. 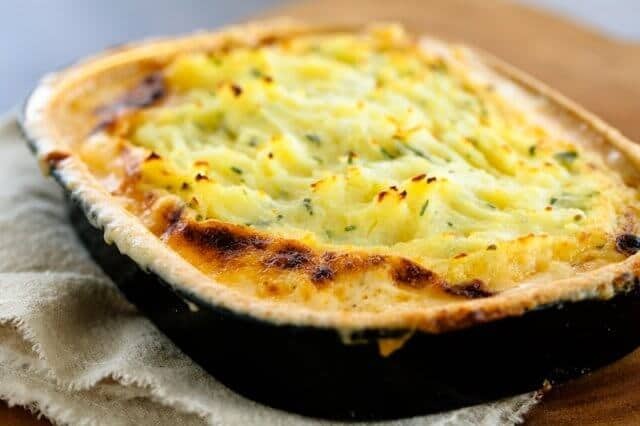 They take the tradition of Shepherd’s Pie and make it all about the lobster. 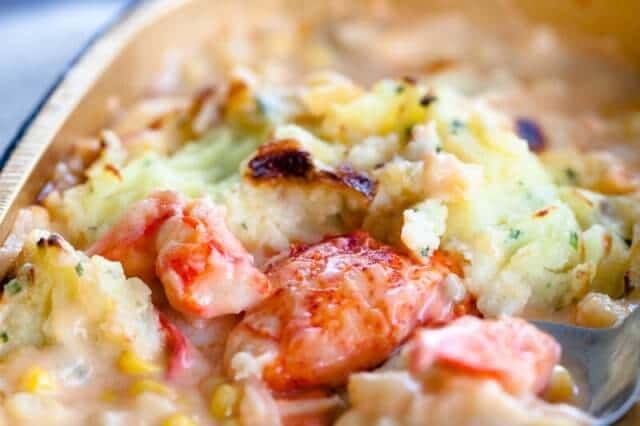 Sweet Maine lobster and corn blended in a sherry-cream sauce, topped with Maine potato mashed to perfection and seasoned with butter, and a dash of parsley and chives. 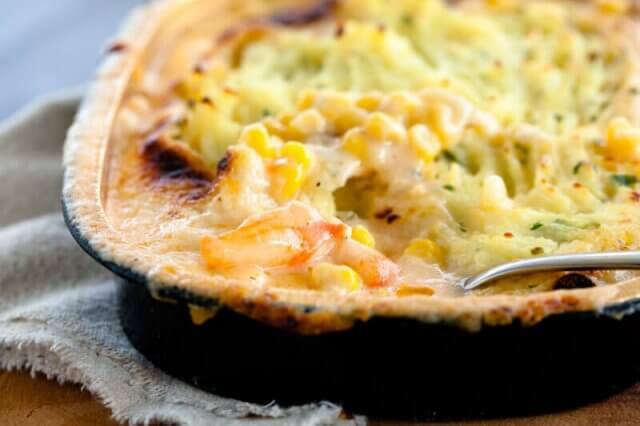 Rich and comforting, it makes an effortless meal for any night. Hancock Gourmet is a small, family-owned American company. 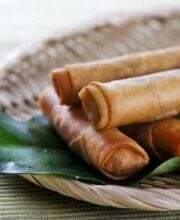 Please support them! I’m sure they’d appreciate a little Facebook Like.